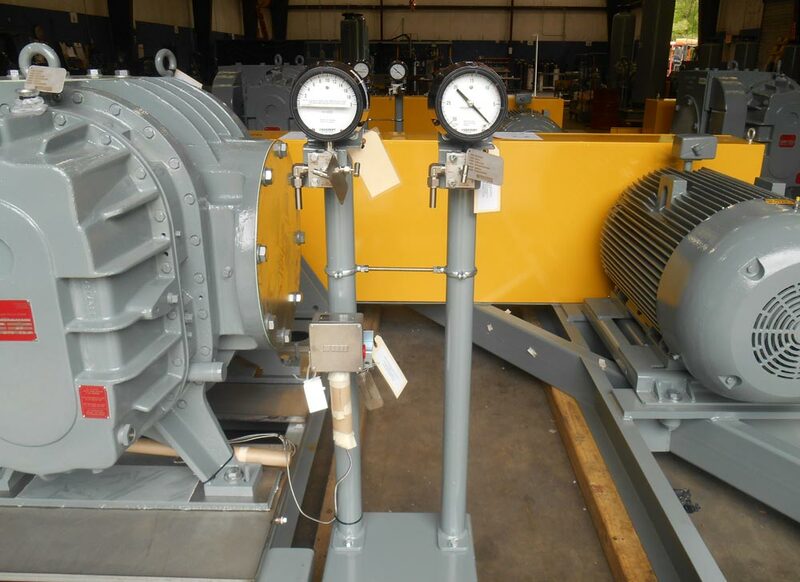 Roots RAS-J and RGS-J Large Rotary Blowers - pdblowers, Inc. The RAS-J Air series and RGS-J Gas series are large rotary blowers from Howden Roots™ featuring the Howden proprietary WHISPAIR® design that reduces the strength of the blower pulse up to 40%, reducing stress, vibration, and noise in your blower and piping system. RAS-J and RGS-J blowers are frequently used in demanding applications with special challenges such as high pressure or corrosive gases. 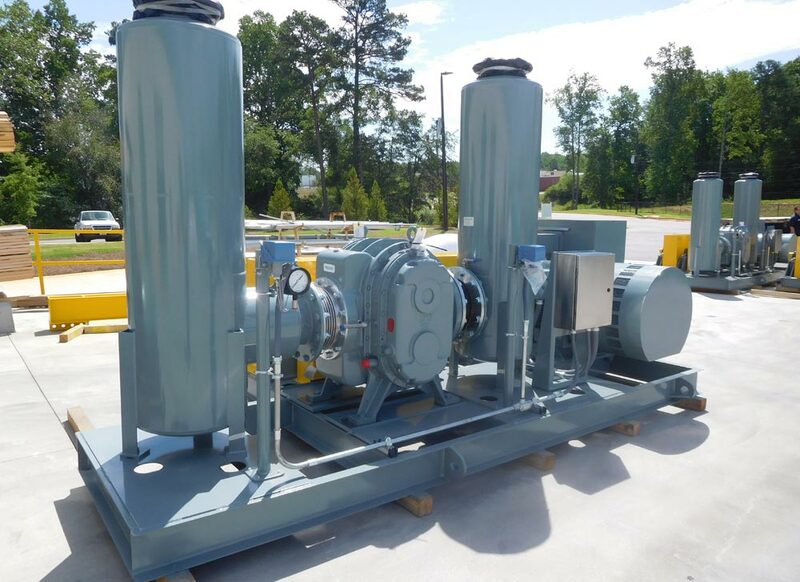 pdblowers has provided RAS-J and RGS-J packages to handle steam, landfill gas, nitrogen, hydrogen, and helium to name a few. 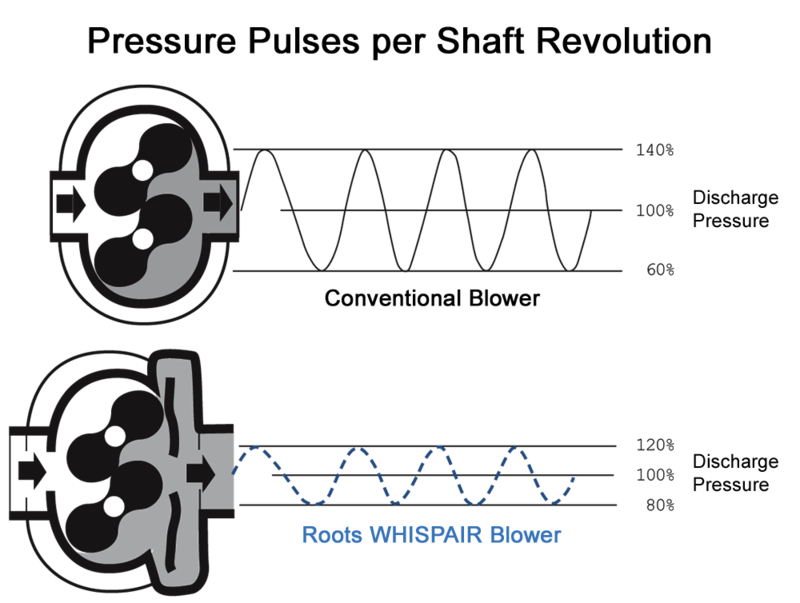 The Howden proprietary WHISPAIR® design reduces stress, vibration and noise in your blower and piping system. 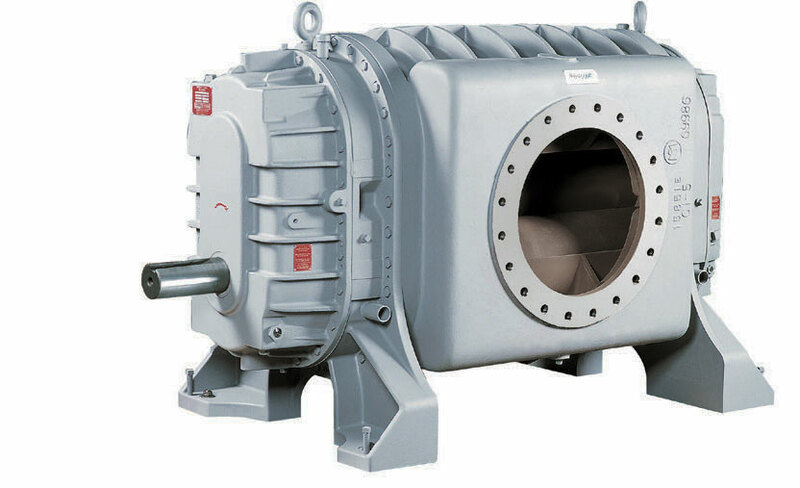 Conventional blowers produce downstream pressure pulse waves which buffet your air or gas delivery system up to 120 times per second. These pulses and vibrations can steal power and shorten the life of every bearing, gear and other drive train component. 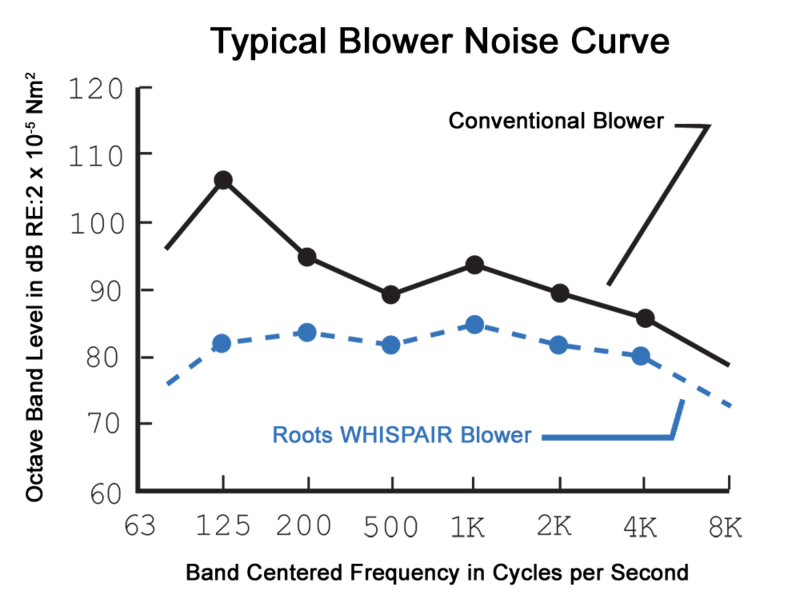 WHISPAIR technology reduces the strength of the blower pulse up to 40%, throughout the air/gas delivery system. Lower energy consumption. The patented WHISPAIR jet design precisely meters backflow and channels air pressure in the direction of impeller rotation. The result is an extra “push” that reduces the power required to drive the impellers. Longer bearing life. 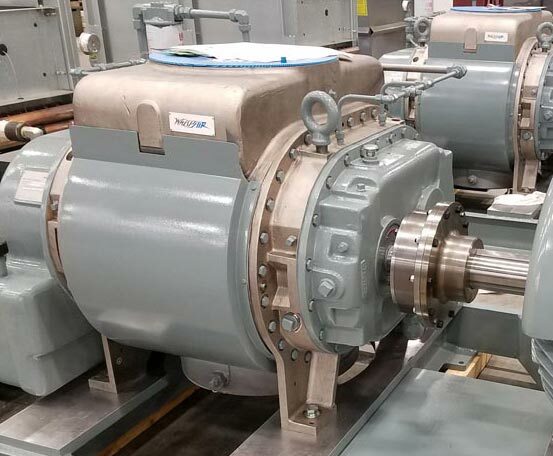 Less pulse transmitted through the impellers means approximately 20% longer bearing life. 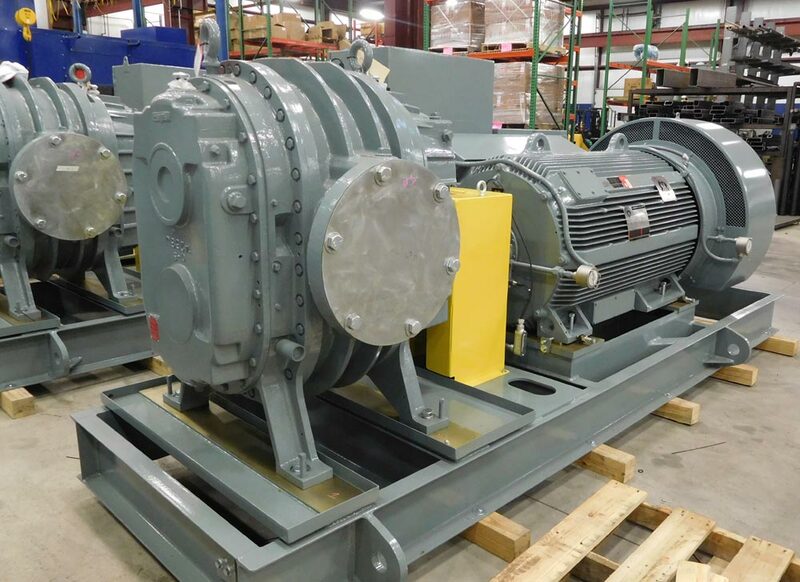 With less pulse and vibration, other components such as timing gears, drive couplings, v-belts and motor bearings suffer less stress. Less noise. Pressure pulses are often the major source of blower and gas blower noise. The pressure equalizing effect of the WHISPAIR design reduces noise by approximately 5 dBA, while reducing wear on your piping valves and sensitive instrumentation. Impellers. Made from ductile iron with a tensile strength of 60,000 psi impellers are statically and dynamically balanced to industry accepted standards, providing you with years of trouble-free performance and durability. Shafts. Impeller shafts are alloy steel forgings; flange connected to the impeller bodies with high-tensile socket head capscrews. Standard blowers have precision machined labyrinth seals where the shaft passes the casing headplate. A single piston ring or multiple piston rings may also be employed with various purge gas configurations to meet customer specific requirements. Bearings. Long-life, double – row spherical roller bearings support the shaft assemblies and control axial location of the impellers at the thrust end. 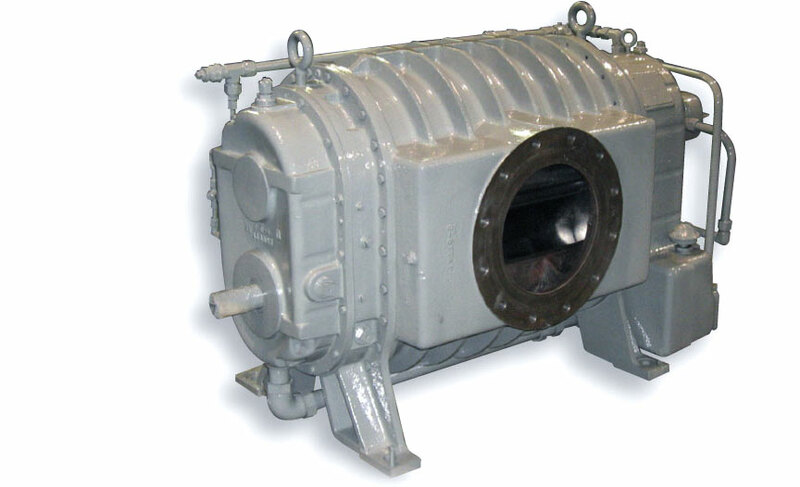 An inboard 5th bearing helps reduce drive shaft stress on 1000J through 1400J frame size, V-belt driven blowers. Cylinder and headplates. 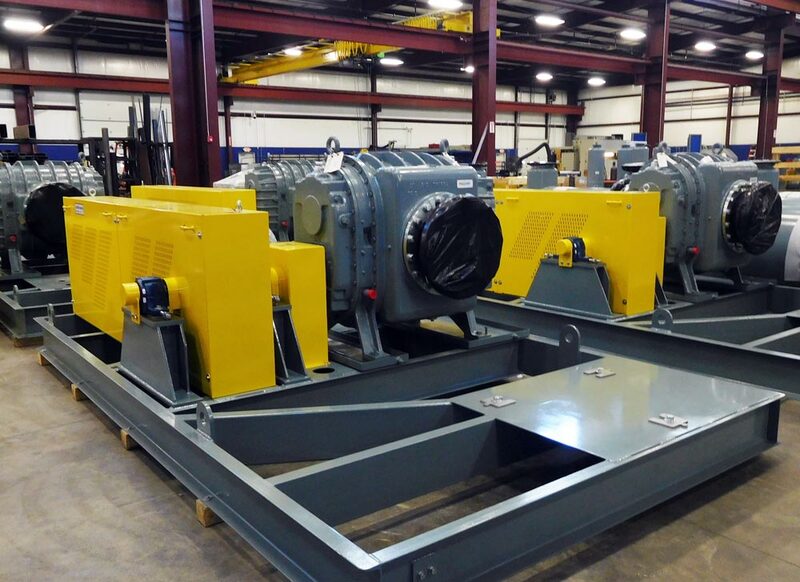 All RAS-J and RGS-J blower units are configurable to horizontal or vertical flows. Cylinders and headplates are precision machined grey iron, with cast ribs for improved strength and heat transfer. Castings may be subjected to strenuous pressure and leak testing to help preserve integrity in the most demanding applications. Each RGS-J machine is leaked tested to 1.25 times casing design pressure; optional hydrostatic testing available to 1.5 times casing design pressure. Timing gears. The impellers rotation is timed by a pair of precision machined, forged steel gears. These wide-faced spur gears are manufactured to AGMA standards and are carburized and ground with a hardness of 58-60 Rc. Spur gears do not transmit harmful axial loads to bearings and motors. On 1000J frame size units the gears are secured to the shafts by a taper fit. Larger sizes use a proven taper locking device providing an easily adjustable mechanical shrink fit. No shaft-weakening keyways or locking pins are required. Lubrication. Both RAS-J blowers and RGS-J blowers offer a positive pressure lubrication system which can extend bearing life by up to 50%. 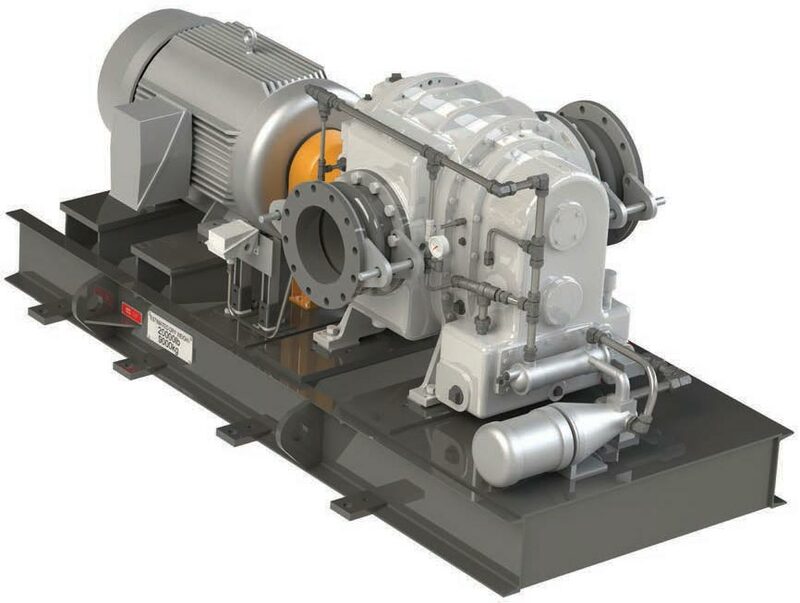 This system is entirely self-contained and includes an integral drive oil pump, distribution piping. Every pressure lubrication option includes, gearbox oil sump, oil filter oil cooler, pressure gauge, relief valve and low oil pressure safety switch. This is a pressure lubrication system that supplies cool, clean pressurized oil into every critical area. The Roots RAS-J blower is also available with an energy-saving splash lubrication system in place of the pressure system. Special Materials. 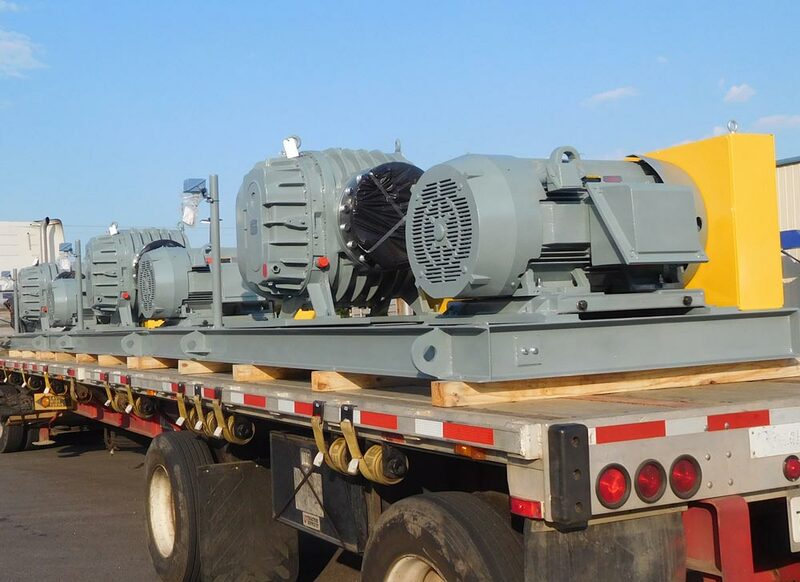 On specific frame sizes, special materials can be used to construct the blower housing, rotors and stub shafts including 304 and 316 stainless steel and other ductile alloys that can withstand harsh environments. Additional Options. 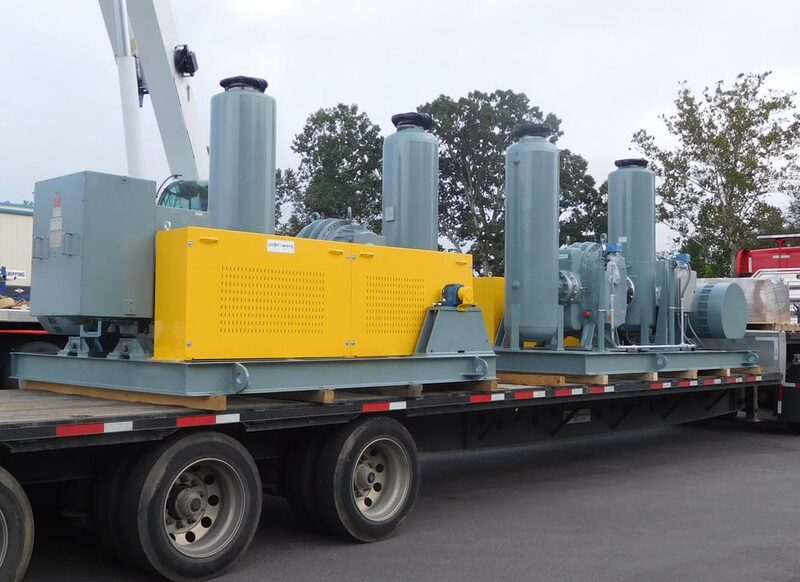 Based on your specific application, other options may be needed including special O-ring materials, 17-4 PH SS capscrews on stub shafts, and holes drilled in the impellers for water runoff. Special Coatings. For steam applications, electrolysis nickel coating can be applied to the wetted components including headplates, impellers and cylinders. Pictured at right. Cylinder Lagging. To reduce temperature differentials, insulated cylinder lagging can be applied to any frame size. Pictured at right. the blower from the discharge area. 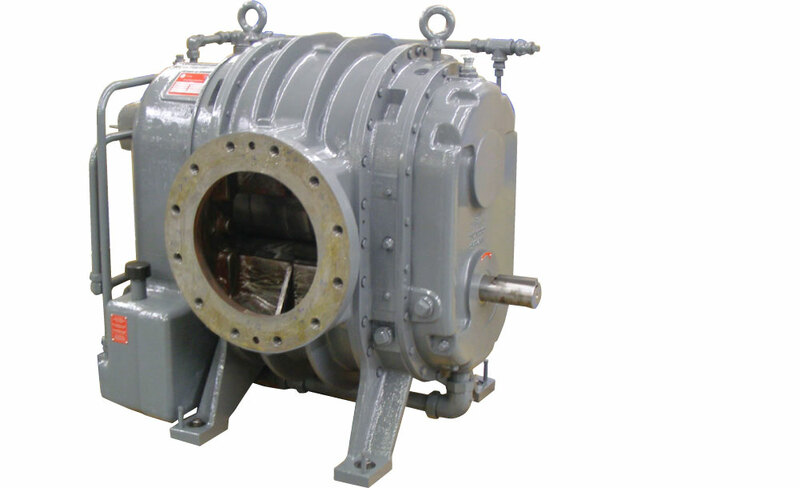 Designed for applications to the single digit micron range when used in series with a backing pump. 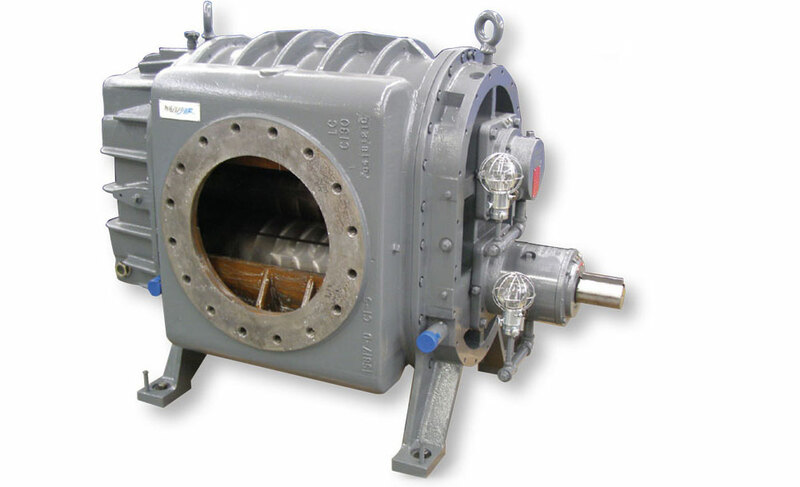 Each RAS-J blower and RGS-J gas blower is mechanically tested by the manufacturer to design extremes of speed, pressure and temperature to ensure that the unit meets performance specifications. 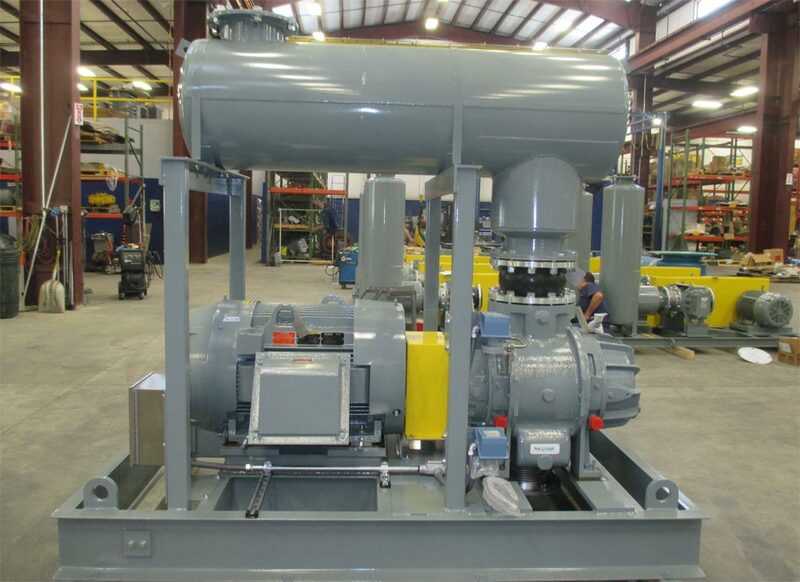 Flow capacity oil circulation, operating clearances and vibration are validated at these critical performance levels. Testing that meets your special process requirements and qualifications can be provided. 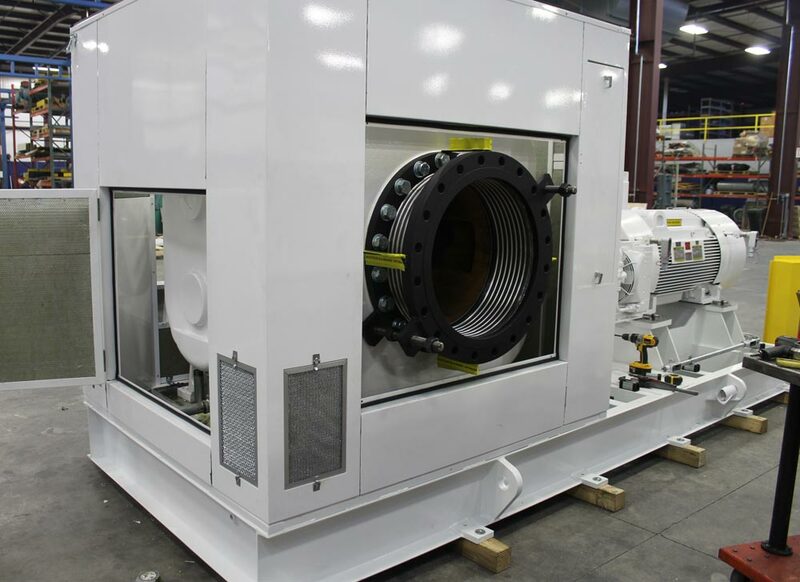 pdblowers has significant experience sizing and packaging RAS-J and RGS-J rotary blowers in a variety of pressure and vacuum applications including pneumatic conveying, wastewater treatment, and more. Contact us to speak with one of our application engineers about your specific needs.